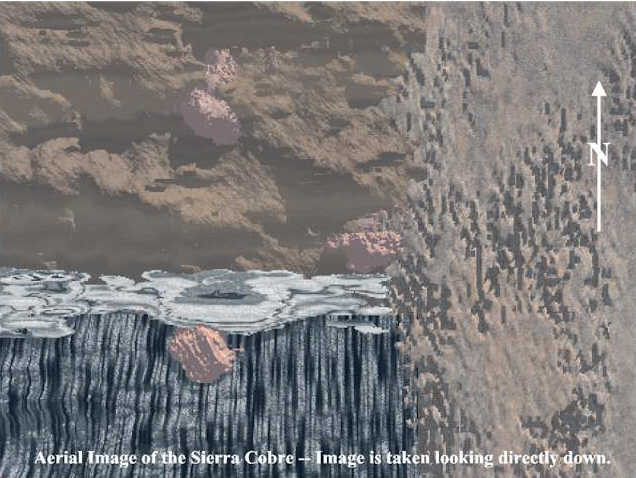 Treasure of Sierra Cobre -- How Do We Find Copper? This website contains a geologic education module that allows students to get a feel for how we explore for mineral deposits. Any material within the site can be used with no restrictions for educational, noncommercial purposes, as long as the source is acknowledged. All material is copyright Dr. Stephen J. Reynolds, Dept. of Geology, ASU. Students work in small teams to explore for copper deposits in Sierra Cobre, a virtual exploration area. 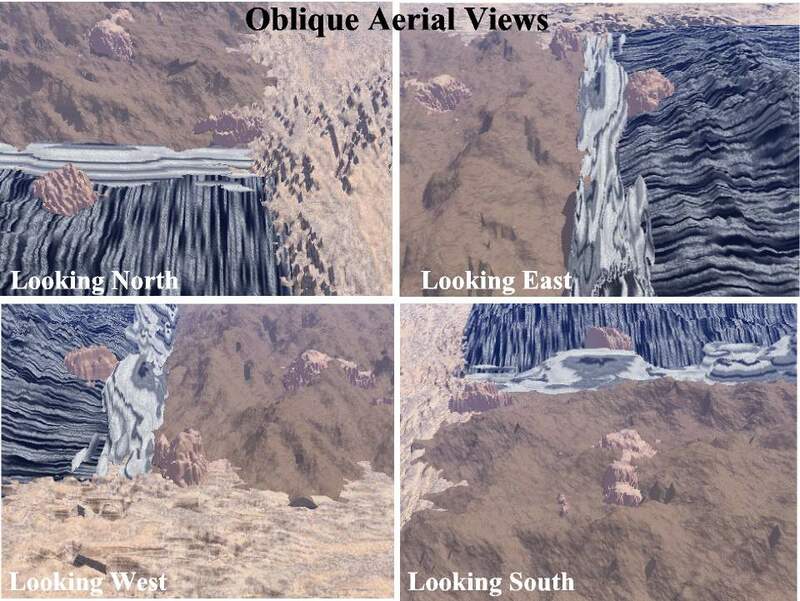 As a starting point, students are given computer-generated maps and images of the virtual landscape and background information about how copper deposits form. Each team then decides what additional information they wish to purchase using their finite supply of virtual dinero (money). They may buy a geologic map and cross sections, a geologic report, a map of copper concentrations in surface samples, a map of electrical conductivity of subsurface rocks, and exploration drill holes. They use the drill holes to search for copper mineralization and to document whether copper mineralization in any area is big enough and rich enough to be able to mine at a profit. For each exploration hole they drill, they receive a log of rock types encountered and the extent of copper mineralization. Students can be provided with the grade of copper mineralization encountered (high, medium, or low grade) in each hole, or  if chemical facilities are available  the students can be asked to analyze the copper content themselves from samples of known copper content provide by the teacher. This exercise is intended to integrate geology, chemistry, and mineral economics. This module can be done on the WWW or via paper handouts. Students: We are on the honor system here, so please only look at what your team has purchased. Thanks! Ore Sections for each lettered column on the drilling grid (A-J); students receive a single vertical numbered panel for each hole they drill. I have not included links back to this page because some instructors may want to download or print the pages as they are, without the links. Therefore, use the BACK button to return here. Send your request (on your school's stationary) to me at Dept. of Geology, ASU, Tempe, AZ 85287-1404. Fax your request (on your school's stationary) to me at 602-965-8102. Sometime this fall, I will further develop the web-based part of the exercise, so that students can click on a drilling grid and receive the appropriate results, all here on the web. Please email me any feedback, suggestions, or errors -- I appreciate knowing how the exercise works.